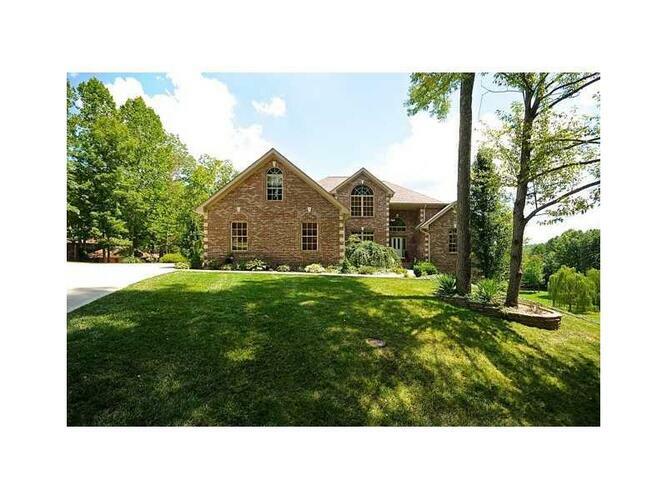 Beautiful all brick custom built home Just under 5000 sq feet 6 bedrooms and 3 1/2 baths over a full walkout basement. Roomy Kitchen features beautiful hickory cabinets,hardwood floors. Large walk in pantry.Great Room has soaring ceilings and walks out onto your multi level deck. Lots of windows make this home light and inviting. Side load garage plus garage in basement. 80 gal. water heater plus 50 gal.water storage tank. 2 heating and cooling units. Storage space galore. Beautiful corner lot.